The power generation industry requires high precision components with the durability to maintain reliability during extreme operations. Critical power systems require repairs and replacement components that be manufactured for quick availability. Electric generator parts can be machined to nearly any specification from a variety of materials. 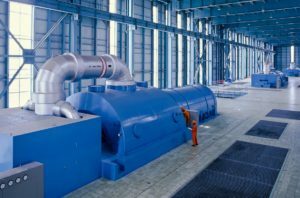 As power generation extends to new technologies in wind, water and gas, the demand for extremely complicated parts is rising. This requires specialized CNC machinery with large work envelopes. Pilsen understands these requirements because we’ve done it before. Not only do we specialize in large vertical turning lathes and boring machines that are for power generation manufacturing, but Pilsen has the experience to customize and deploy the absolute best machining solution available for your unique application. See how Pilsen made the machine installation easier for a Steam Turbine Parts Manufacturer. 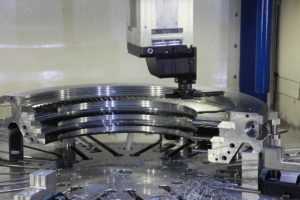 We also offer machine tools that can carry out multiple operations on one machine; 5-axis, boring, milling, grinding, which drastically reduces setup and turnaround time to improve your bottom line. Pilsen has the right machining solution for your power generation application. Please use the online request form below to tell us about your machining requirements.